C01 Henkei Convoy review | Out of the box. Henkei Convoy posing with primary blaster. It is rather a delayed review for this figure. Photo were taken before the Queensbay Mall Transformers Convention with TransMYians during June. Nevertheless, personally I prefer this version rather than its Hasbro counter part. Ordered it from HLJ during a discount for this toys, was in luck for retail store in my place of residence is over priced. If you do not know, in Japan and in most area of far east Asia Transformers purist will simply call Optimus Prime in the far east Asia as Convoy. Autobot is known as Cybertrons and Decepticons is known as Destrons. A bit confusing but you will get the hang of it. Unlike the Hasbro packing, Takara packing offer a more compact package with a DataCard of Convoy. Hasbro Optimus Prime package is standard like all its Tansformers Classics/Universe Voyager Class toys which is way more bulkier and it is in truck mode. For TakaraTomy, Convoy is in robot mode. Henkei Convoy package side 1. Henkei Convoy package side 2. The TakaraTomy Convoy comes in the package in Robot mode. Henkei Convoy is undeniable, feel heavy for its class. With details and accessories to complement the defacto Cybertronian Commander. The only down side of Convoy, it is not a perfect transformation figure. It smoke stacks is transformed into its primary blaster and its truck roof is transformed to his secondary blaster. With multiple accessories, Convoy can have different weapons configurations. Henkei Convoy robo backgun back view. Henkei Convoy Back Gun Armed back view. One of the configuration is attaching the primary blaster it is mid transformed mode and attach them to the secondary gun which is still in the truck roof mode. Henkei Convoy Robo backpack gun front view. Henkei Convoy Back Gun Armed front view. Another configuration is Convoy with truck roof as a back pack with a primary blaster. Every conservative peacekeeping forces would use. 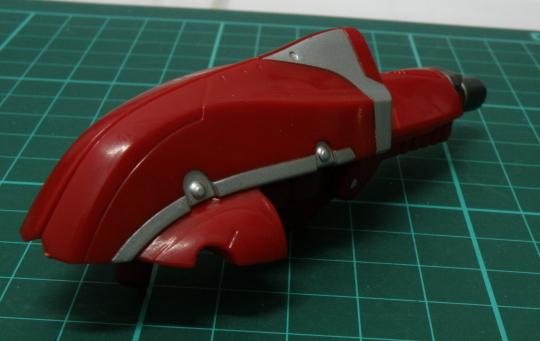 Henkei Convoy Robo primary blaster with backpack back view. 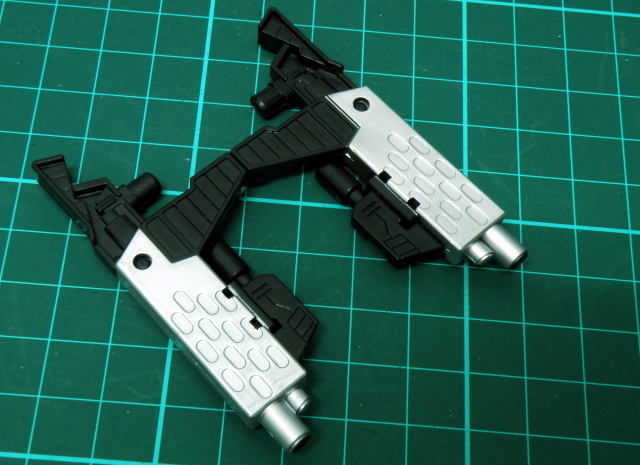 The most popular mode for the most Gung-Ho people, dual blaster configuration. Aggressive and reckless nevertheless. Henkei Convoy Robo dual blasters back view. 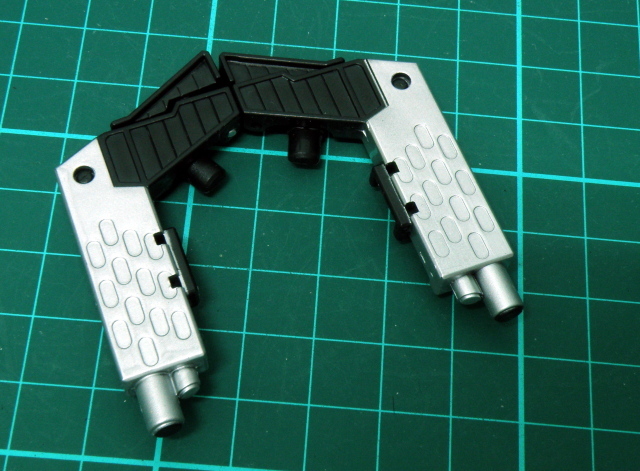 Henkei Convoy Robo dual blasters front. Convoy in truck mode is something truly to behold. Almost perfect in all expect. Except the robot parts is able to be view from the underside of the truck. and if you can forgive the designers to be lazy to make big side piece of the truck is visible as part of the Convoy Robot arms. Henkei Convoy Truck back view. It is a shame that the under part of the truck expose the robot legs. The roof of the truck can be taken off but it will expose Convoy’s robot head. Not forgetting the fact, the roof of the truck as well as the smoke stacks can be transformed into Convoy’s blaster. 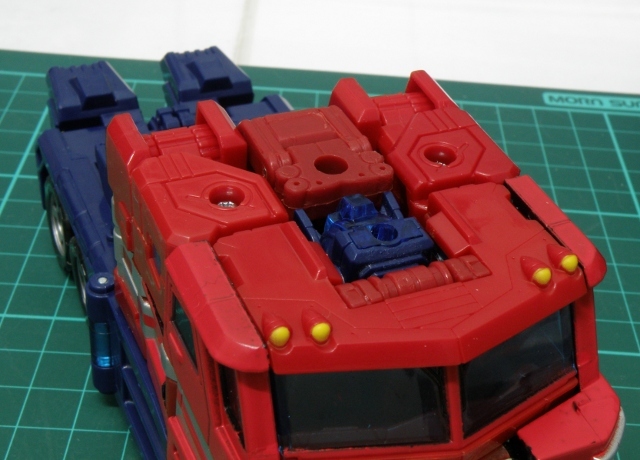 Convoy Truck Roof Secondary Blaster. Convoy Truck roof secondary blaster front view. 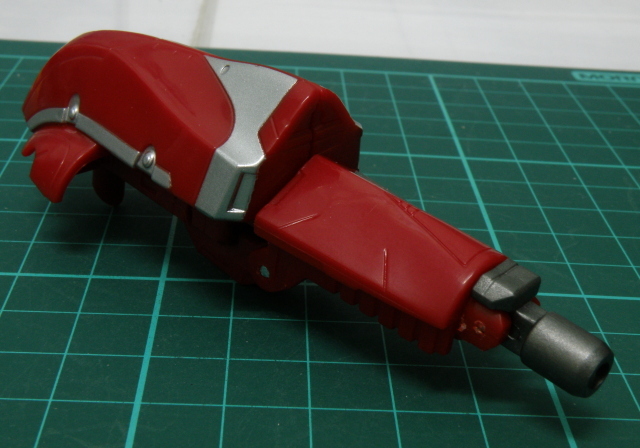 If you noticed the weapons details, TakaraTomy did not reserved and gives it more details. 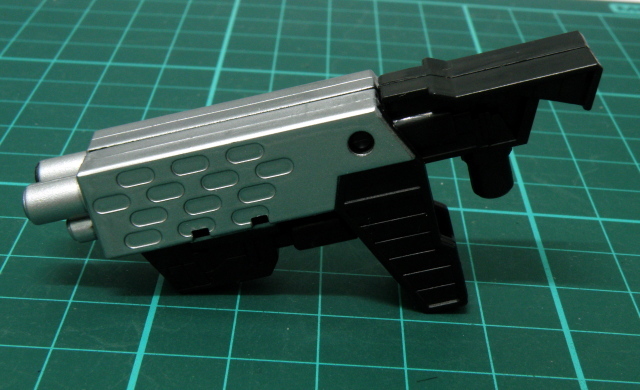 The smoke stacks can be detached and transformed into a small blaster with double barrel. Its design is very similar to the Warhammer 40K space marines bolters. Or atleast it has the outline of the Warhammer 40K bolters. Convoy Primary Blaster - smoke stacks. 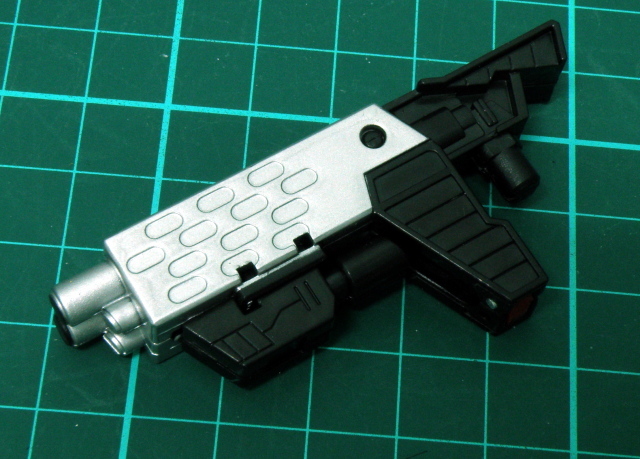 Convoy Primary Blaster - mid transformation. Convoy Primary Blaster - Transformation Complete. With good accessories Henkei Convoy is the best Henkei figure in the Henkei and Transformers classics line. Henkei Convoy Robo back view. Another small details which I prefer is the fist of Convoy, for it is moulded or painted with 2 different color on a single fist. Henkei Convoy Robo fist details. Henkei Convoy Head front view. 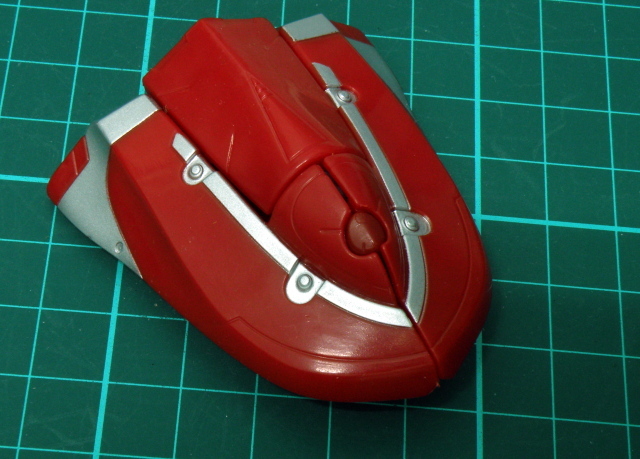 Henkei Convoy Head side view. Just manage to make lame pose with Convoy, but in reality it is a good possable figure and the joints is neither tight or loose; just nice. Too bad there is no articulation at the waist. Else it can make more dynamic poses. In a nutshell, C01 Henkei Convoy is an incredible toy transformable accessories. Good articulations. Good details just dumb down slightly by the fact it is not perfect transformation. Highly recommended to Transformers fans old and new alike. Mecha lovers go get it. There is also a 3rd party producer; FansProject has created extension to make this toy more worth while. Check out for the DIA Commander and the G3 Trailer. Until the next post. Thank you for reading and visiting my website. This entry was posted in Mecha, My Hobbies, Transformers and tagged autobot, convoy, cybertron, Decepticon, Destron, G1, g1 convoy, Generation1, hasbro, hasbro transformers, henkei, optimus prime, takara, takara tomy, takaratomy, Transformers, transformers classic, Transformers Universe by KarMeng. Bookmark the permalink. Great review, I am looking forward for your DIA COmmander review. I might swing for one as Daniel’s shop is quite cheap compared to others. Wao. this is cool. I like this figure. @Marslet: Buy man go buy wahaha.